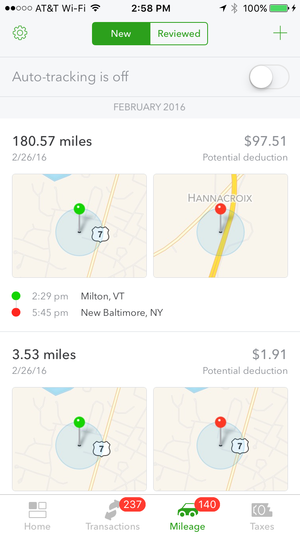 Self-employed users can use this app to track income and expenses. I’m away on vacation this week and too far away from my servers to make our last two NetInstall episodes work, so this week we’ll take a look at QuickBooks Self-Employed. Next week it’s back to the NetInstall service. 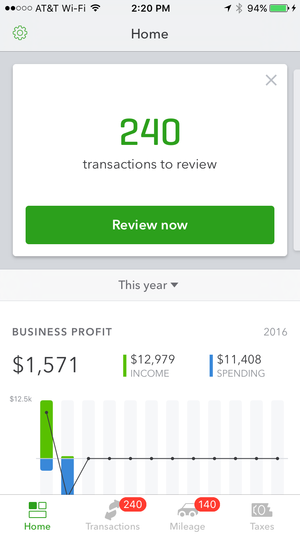 It’s been about a year and a half since I last looked at QuickBooks Self-Employed, Intuit’s business finance app aimed directly at self-employed business owners that don’t have a corporation and who often have their personal finances mingled with their business finances. When last we visited the app there was a lot to like about it, but, as is the case with most version 1 apps, there was also much that could be improved. 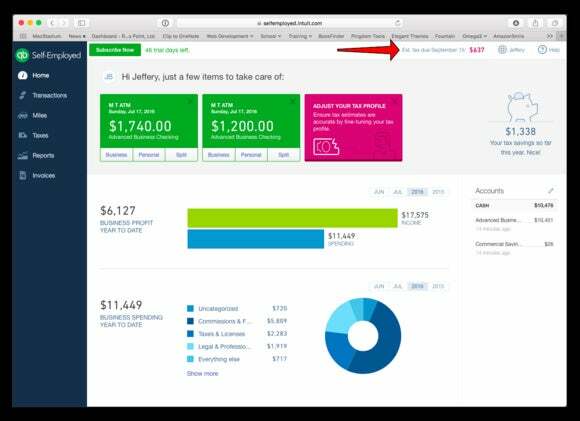 I’m happy to to say that QuickBooks Self-Employed has evolved into an even more powerful tool. QuickBooks Self-Employed works just like it did before. There’s an app for your iPhone and web apps that work equally well on every device you own. I still find the best user experience to be on my iPhone, but the browser-based apps are more than serviceable. The iPhone app has been significantly updated, offers a simplified and more streamlined way reviewing your income, expenses, and mileage. For income and expenses the phone app connects to your bank accounts and you swipe left for business expenses and right for personal expenses. Each time you review a transaction the app asks whether you want to create a rule based upon what you’ve just done and future transactions of the same type will be handled in the same way. QuickBooks Self-Employed’s automatic mileage tracking is one of its best features. I confess to some initial skepticism about this feature, as I every app I’ve ever used with similar capabilities has sucked the life out of my battery and never proved to be very accurate. Not so with QuickBooks Self-Employed. Due to some kind of tracking magic that Intuit won’t disclose, the app always tracks your mileage in the background, but, as far as I could tell, uses almost no excess battery. 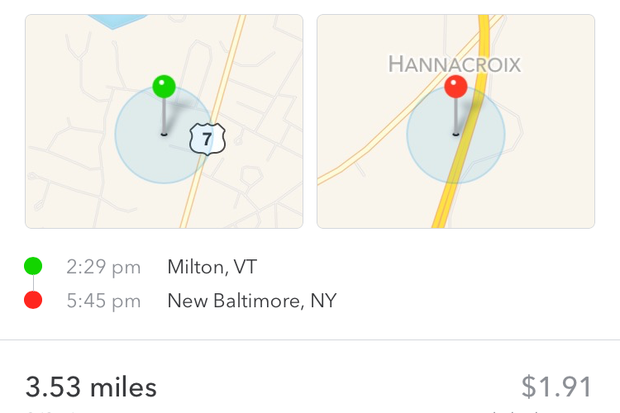 The app automatically determines start and stop locations based upon your time in transit and the amount of time you spend at a location and, as is the case with expenses, you can look at your tracked mileage and swipe left for business miles or right for personal miles. QuickBooks Self-Employed does the mileage math for you, based upon current IRS mileage rates. 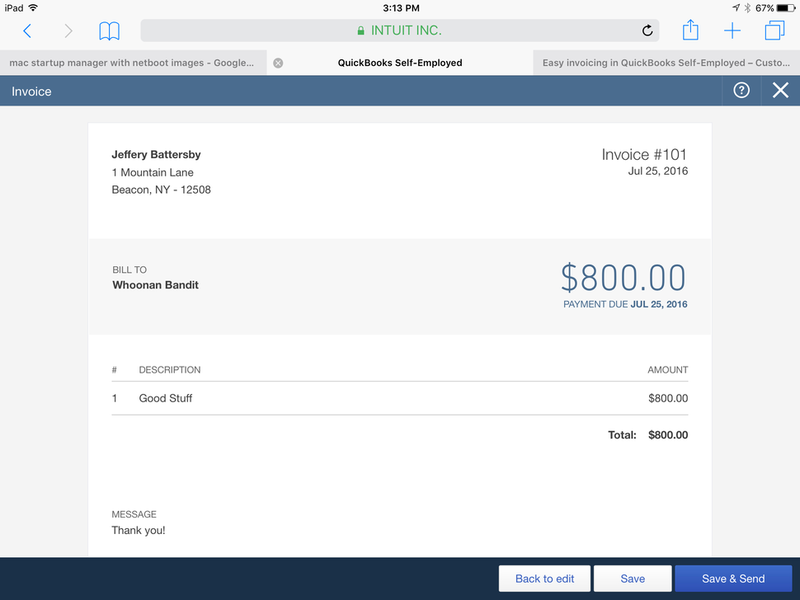 Version 1 of QuickBooks Self-Employed lacked a basic invoicing tool that allows you to easily provide a client with a receipt for services rendered. The latest version of QuickBooks Self-Employed nails this feature by providing simplified invoicing with no invoice tracking and also gives you the option to receive online payments. You may question the value of invoices with no tracking, but QuickBooks Self-Employed is aimed at businesses that are most likely to invoice and collect payment at the time of service. If you need tracking and aging, you’ll need to step up to QuickBooks Online. Additionally, if you use the invoicing feature, you’re offered the option of receiving credit card payments, a nice feature for collecting money quickly if you need it. Another great feature for self-employed business owners is its automatic tax tracking. Because you categorize your income, expenses, and mileage as you go along, QuickBooks is able to determine your quarterly tax liability, and lets you print out the appropriate IRS forms for making those payments. This feature works best when you go through the app’s interview process, which helps to determine what your home office deductions are and what other expenses and deductions you may have that limit your tax liability. Additionally, the app offers profit and loss reports and at the end of the year QuickBooks Self-Employed offers IRS-ready Schedule C statements in both PDF and CSV formats. 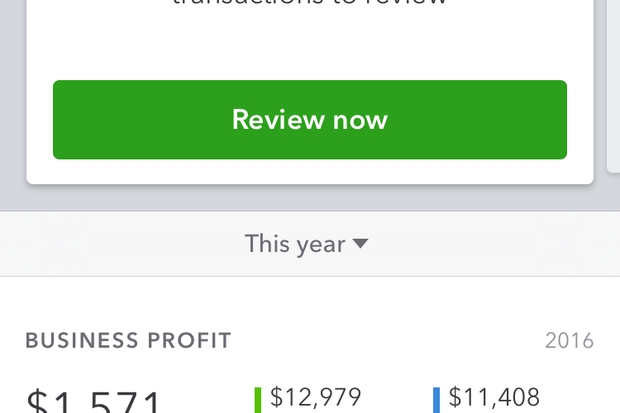 If you’re a business owner who receives 1099 income or if you work for yourself without the benefit of a corporate identity, I highly recommend QuickBooks Self-Employed. It’s easy to use, will help you make quick work of tracking income, expenses, and mileage and, with some luck, may even save you a few bucks when the IRS comes calling.